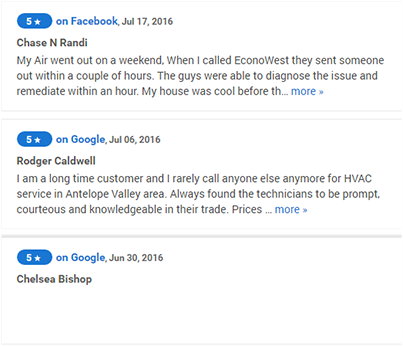 Keep your cool with professional air conditioning service and repair from Econo West. 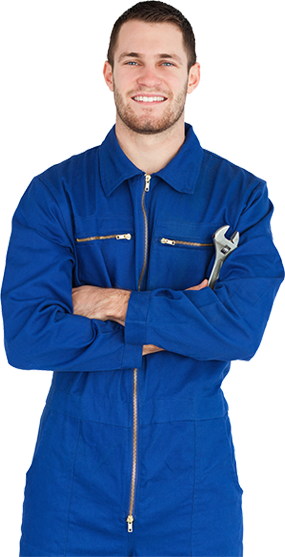 Our skilled technicians are qualified to work on all makes and models of air conditioners. Count on us for quiet, reliable, energy-efficient air conditioning. Take control of your energy usage—and save money on your bills—with a programmable thermostat. We can introduce you to the latest American Standard products designed to give you precision control of temperatures and humidity in your home or business. Trust our skilled and experienced furnace technicians to keep your heating equipment working its best. We offer routine maintenance (which can help prevent up to 90 percent of furnace breakdowns) as well as fast, reliable, and affordable furnace repairs. Are you tired of dirty air ducts contaminating your indoor air and making your HVAC system run poorly? 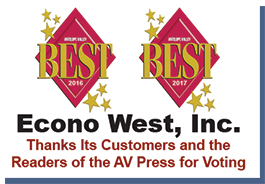 Get those dirty ducts cleaned out with professional service from Econo West. We use HEPA filtered vacuums to remove contaminants without making a mess. Econo West is your go-to plumbing contractor for all kinds of needs, from routine drain cleaning and water heater service to emergency plumbing repairs. We provide reliable cost estimates before beginning work, and your satisfaction is guaranteed. Heating and cooling problems can strike at any time. 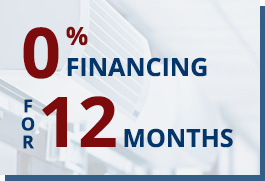 To make sure you can afford the products and services you need, Econo West offers competitive financing including 12 months same as cash on new HVAC equipment. Very professional ; my tech was able to diagnose my issue fast , and came up with a synapsis for repair quickly and even managed to save me a lot of money on the repairs. I was presently surprised . They were On time , trustworthy and knowledgable. 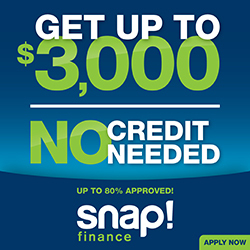 Lowest Price Policy - We will beat any licensed contractor's price by $100! Just Fill-in the form below and one of our representative wiil get in touch with you as soon as possible. Copyright © 2019 Econo West. All Rights Reserved. Service Locations. Website by Webstract Marketing. Copyright © 2019 Econo West. All Rights Reserved. Website by Webstract Marketing.